We are going to learn how to forward an incoming call to a Plivo number to a Plivo SIP Endpoint. 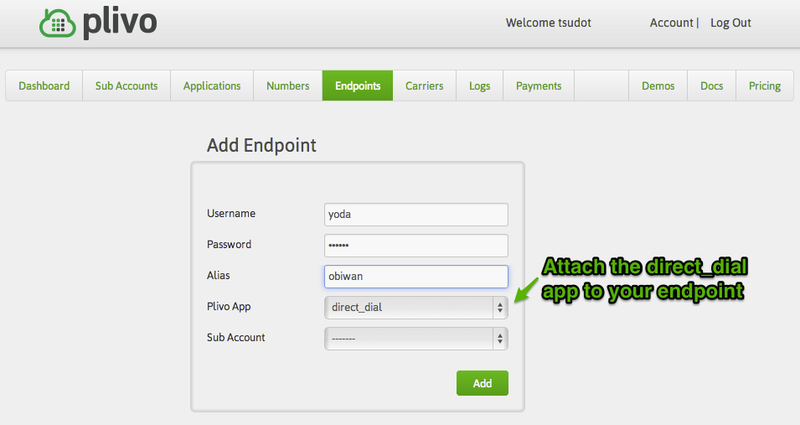 If you are new to Plivo SIP Endpoints, you should read more about it here. Sign up for a Plivo Account. 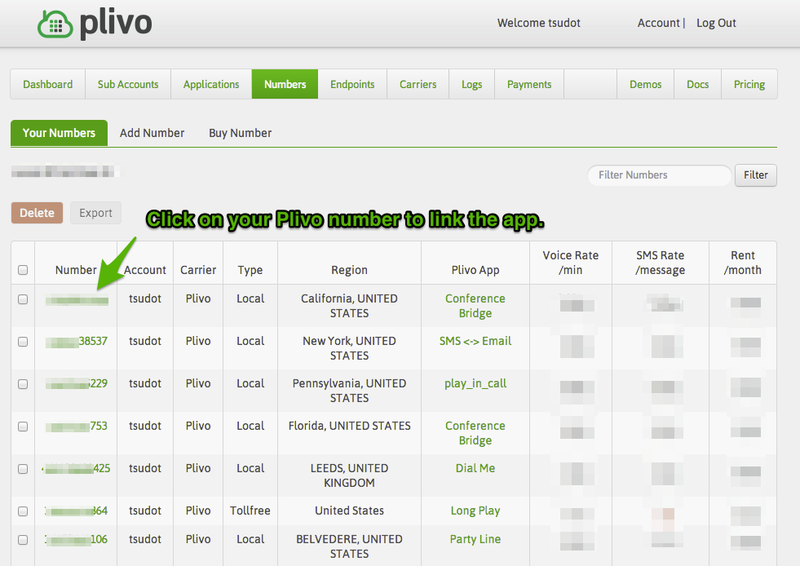 Get a Plivo number in the Numbers tab. Create an endpoint on Plivo with a username and a password. Make sure you attach the built-in direct_dial application. Plivo will append random numbers to your endpoint username. Make a note of your endpoint username. You need to host a static URL which returns a Dial XML when Plivo requests the URL. 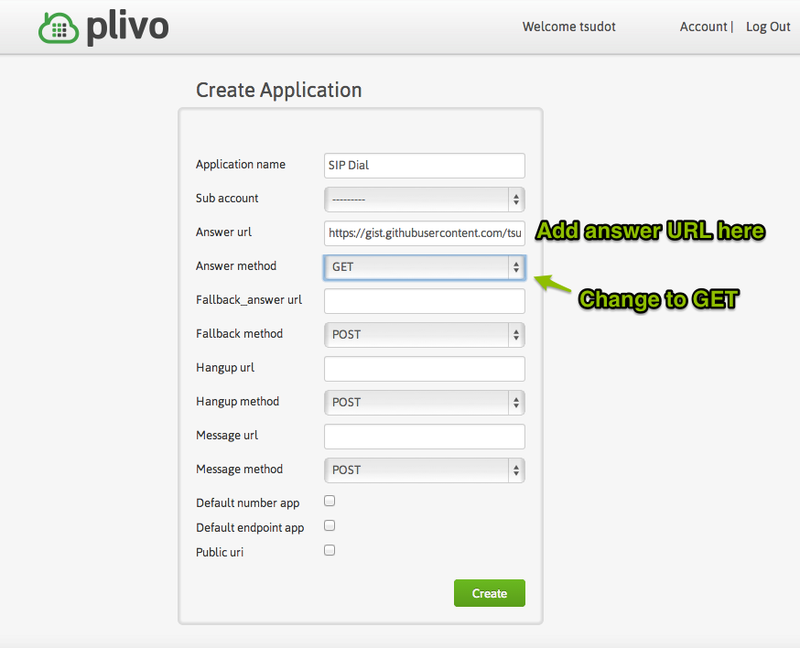 Create a Plivo Application and set the Answer URL as the URL of your static file. Register your endpoint using a softphone, hardware phone, web SDK or mobile SDK. Make a call to the Plivo number and see your endpoint receive the call.